Outdoor education usually refers to organized learning in an outdoor setting. Outdoor Learning has become a more contemporary term for arguably the same thing, but it reflects well the distinction between discovery/active learning (which Ardroy promotes) and didactic education, which is more the domain of mainstream education. Outdoor education programmes usually involve residential or journey-based experiences in which students participate in a variety of adventurous, memorable challenges. The many positive benefits of experiencing community living in a residential environment should also be mentioned. Outdoor education can be simply described as experiential learning in the outdoors. 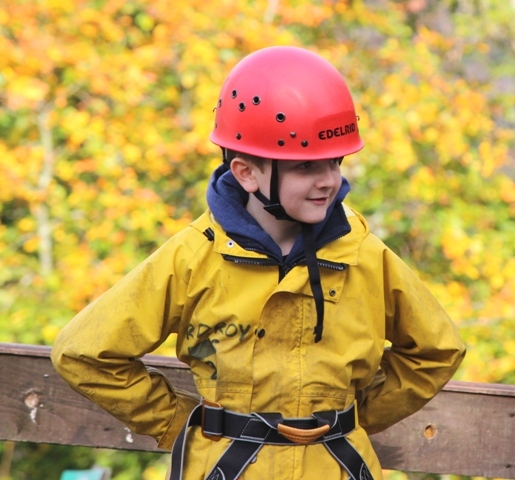 The term "outdoor education", however, is widely used to refer to a range of organised activities, which take place in a variety of ways, in predominantly outdoor environments. Learn how to overcome adversity and increase resilience. Modern outdoor education owes its beginnings to a number of separate initiatives. As well as the Scouting movement, established in 1907, roots are also found in the first Outward Bound Centre which was established in 1941 in Aberdovey. Derbyshire Council opened the first local authority centre in the UK in 1951. There is a rather good article about the development of Outdoor Education on Wikipedia here. The Curriculum for Excellence which went live in Scotland in Sept 2009, has identified the value of both outdoor and active learning. Ardroy was involved at a consultation level with these new developments. For more info please go to the Outdoor Learning Section of the Learning and Teaching Scotland Website. "Outdoor learning is not, and should not be, an end in itself, but should be embedded in A Curriculum for Excellence 3-18. It must offer core experiences to children and young people, regularly and routinely, through their transition from pre-school education to adulthood".